BRIGHTON - Florence Alene Perdun, 87, died at 10:50 a.m., Sunday, February 10, 2019 at Robings Manor in Brighton, under the care of BJC Hospice. She was born in Peach Bottom, PA on December 12, 1931, one of four children born to the late Albert and Ina (Lovelace) Hurley. Alene grew up in Quarryville, PA, where she graduated from Solanco High School and went on to obtain her Associates Degree from Goldey-Beacom College in Wilmington, DE. She married Clarence Maurice Perdun on October 22, 1951 in Elkton, MD and together they shared in the joys of raising their children and 58 years of marriage before his death on April 5, 2010. Alene enjoyed collecting various antiques and was also a talented and gifted painter, which she continued to enjoy even in her later years. Surviving are four children, Deborah (Mike) Greene of Brighton; Ralph Perdun, and his companion, Betty LaRussa of Brighton; Stephanie Spradling of Springfield, MO; Lewis Perdun, and his companion, Adrian Treacher, of Alton; 7 grandchildren; numerous great grandchildren and great-great grandchildren; a sister and brother in-law, Kathene and Ed Gorman of Brighton; as well as a sister in-law, Rhoda Hurley of Pennsylvania. In addition to her parents and her husband, she was preceded in death by two brothers and a sister in-law, Gordon Hurley and Lloyd and Nelda Hurley. 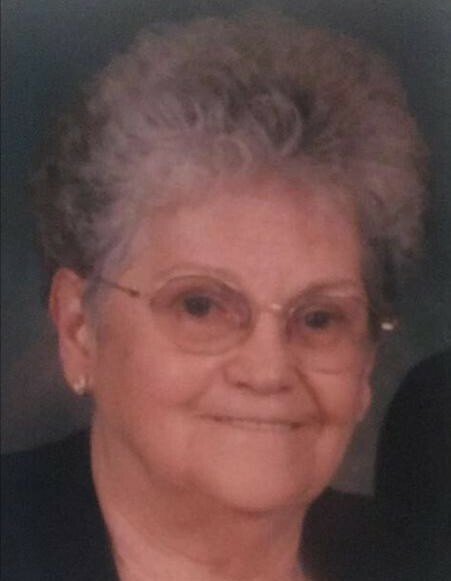 Visitation will be from 10 a.m. until time of funeral services at 11 a.m., Wednesday, February 13, 2019 at the Crawford Funeral Home in Jerseyville with Rev. Joel Lohr officiating. Burial will take place at the Kane Cemetery.